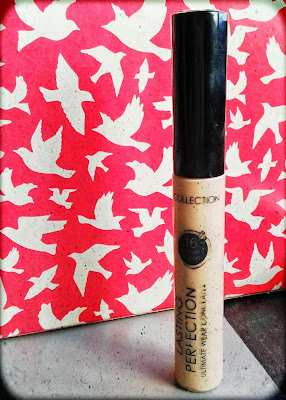 Having recently moved to the UK from America, one of the items I was most itching to try was the Collection Lasting Perfection Concealer. Praised by beauty bloggers, YouTubers, and everyone ever in the history of the world, it was one of the UK-only items that was easiest to get my hands on. I had high hopes for this concealer. 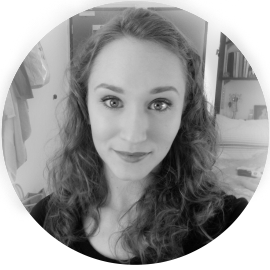 I suffer from really dark under-eye circles and have creasing problems with most concealers. I still haven't found that "perfect" concealer that both highly conceals and doesn't crease. Please excuse my awful and highly edited photo. But here's the product! The concealer is available at Boots and Superdrug and is currently on offer at both places for £3.99. There are four shades to choose from, which isn't great for anyone with darker skintones. I picked up shade #2, light. Now, I swatched this from samples in the store, and was fairly happy with my selection. I'm not the fairest end of the spectrum, but somewhere in the medium, and I was wary of going to dark with shade #3, medium. Now I know that for many people it is a holy grail concealer, or else it wouldn't be praised for it's amazingness! However, I found this concealer really average and did not work for me at all. I primarily tested this concealer for the under-eye area, as I do not have many blemishes and only suffer from redness issues on my face. 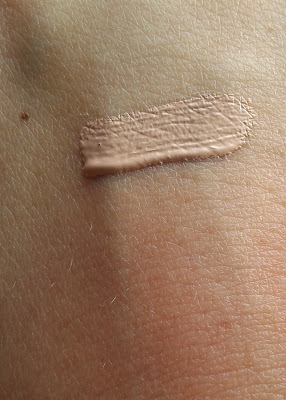 Before buying, I tested the product on the back of my hand, blended it in, and it looked fine in the light of Boots. However, I have a bit of yellow-undertones and frankly, this concealer is much to pink to look natural with my skin tone. 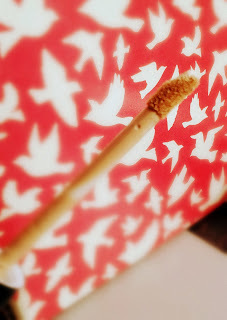 It also looked quite cakey and was VERY difficult to blend in with both my fingers and a brush. The concealer also accentuates the fine lines under my eyes and settled in a really unnatractive way! If you even remotely have dry skin around your eyes, this probably isn't the concealer for you. If you are hell-bent on using it anyway, you need to be very careful to put on a moisturizing eye cream or hydrating primer before applying this concealer. Swatched for 'ya. You can see a bit of the pink undertones compared to my skin. Ultimately, it's not an expensive concealer and worth giving a try! However, do be wary if you have yellow-toned skin, especially for the very pink #2 light shade. Also keep in mind that it may be too pigmented and drying under the eyes, especially if you have dry skin under there in the first place. The final score: 2/5 stars. Didn't like it, but didn't HATE it either. Still going to use it, just not under my eyes.